March 30, 1985: Derek and Nancy Haysom are discovered brutally murdered at their home in Lynchburg, Virginia. 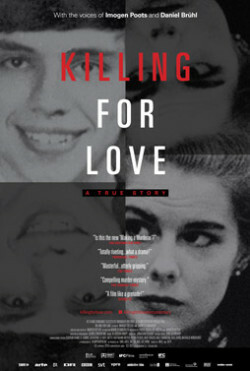 The subsequent arrest and conviction of the couple’s daughter Elizabeth, a wealthy scholarship student at the University of Virginia, and her boyfriend Jens Söring, the brilliant son of a German diplomat, set off a media frenzy, becoming the first trial of its kind to be nationally televised. But what if the justice system got it all wrong? This gripping true crime tale untangles the web of romantic obsession and betrayal that may have led an innocent man to make the ultimate sacrifice for love: take the fall for a murder he didn’t commit. Featuring the voices of Daniel Brühl and Imogen Poots.